It has been a breakthrough year for the world’s original cryptocurrency – and on November 28th, 2017, the bitcoin price blew past the psychological barrier of $10,000 with unprecedented pace. After all, it was only two days prior that the cryptocurrency was trading at $9,000. 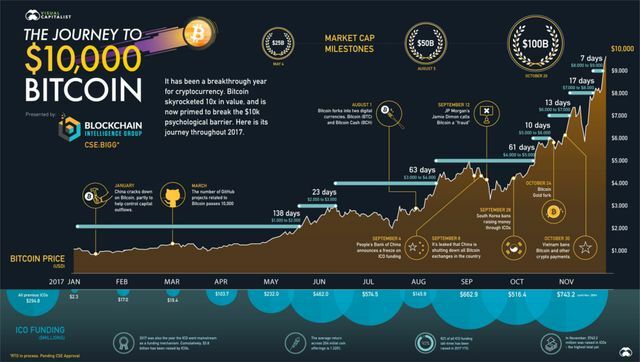 Today’s infographic from Blockchain Intelligence Group helps to visualize the ups and downs of this incredible journey to $10,000.